$5,499.99 Seen a lower price? Genos is the flagship Yamaha Digital Workstation, with intuitive control featuring a 9" color touch screen, assignable sliders and knobs with their own OLED display, and even 6 assignable buttons. Genos is the best-sounding digital workstation today with unmatched sample quality, state of the art Style content, and professional level connectivity the Genos is the ultimate songwriting and performance tool. New Revo! 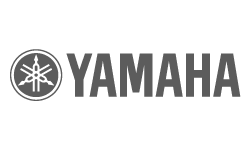 drums are part of Yamaha AEM (Advanced Element Management) Technology and deliver never before heard realism from MIDI drums. Super Articulation 2 (SA2!) Voices replicate the performance nuances of non-keyboard instruments providing unmatched realism. Record your song ideas or performances using the on-board MIDI and audio recording features, or interface with computer-based digital audio workstations. - The color touch screen allows you to easily see the state of Voice and Style assignments and quickly access and adjust a wealth of features and settings. - The OLED sub display above the assignable knobs and sliders changes to reflect the parameters of the assigned controllers for real-time feedback on what parameter values are and change to. - Assignable Knobs allow you to manipulate various effects and parameters on Voices, Styles and more, in real time. - Assignable Sliders can be configured to control a wide variety of parameters allowing for quick, on-the-fly control during your performance, or while fine tuning your production. - Revo! Drums take advantage of unprecedented multi-dynamic sample layers and round-robin sample cycling to produce the most realistic MIDI drums ever created. - Ensemble Voices authentically recreate the sound of horn, string and woodwind ensembles by intuitively splitting the instruments into their appropriate ranges, producing an authentic sounding ensemble performance. - Super Articulation 2 (SA2) Voices allow the player to get realistic expressive nuances of non-keyboard instruments, such as a flute or guitar, both automatically and with the use of the two switches. - Articulation Element Modeling (AEM) technology simulates the subtle nuances and performance characteristics of musical instruments providing stunningly realistic sounding instrument performances in real time. - The Arpeggio function intelligently creates melodic and rhythmic patterns based on the notes you play, adding inspirational and expressive musicality to your compositions or performances. - Registration Memories allow you to save and recall panel settings like Voice, Song, Pattern and/or Style to quickly access your favorite configurations. - The combo mic/line input jack with optional 48V phantom power lets you connect an instrument, or any microphone, even those requiring power, for on-board recording or performance. - Headphones: 1 x 1/4"
- Weight: 28 lbs. 11 oz. Available until 11 PM (EST) today. Mention special code 205-BB3V when you call.